The desert of Rajasthan is the setting for this irresistible musical version of Emily Brontë’s tale of passion, jealousy and revenge. 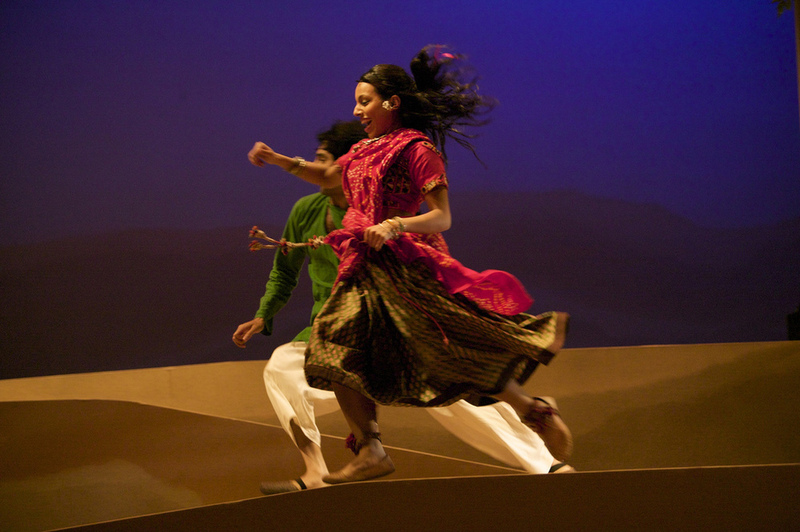 Shakuntala is the fiery and headstrong daughter of spice merchant Singh. Krishan is the wily street urchin from Bombay that Singh brings home after a trip to market. Thrown together as unlikely siblings, a tumultuous romance soon develops. But can their love withstand Indian society’s taboos and hierarchies, not to mention Shakuntala's yearning for the life of luxury that only neighbouring landowner Vijay can provide? Featuring romance, melodrama and a captivating soundtrack, Tamasha’s vibrant production brought together a creative team from the worlds of contemporary and classical Indian music and West End musical theatre with some of the best British Asian writing and acting talent. Wuthering Heights toured the UK March - June 2009. Click on the links below to read more about the show.